A Candied-Lemon Killer with 20% THC! 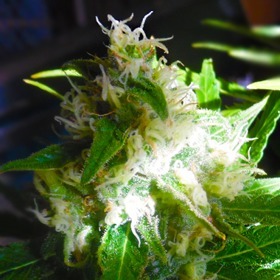 Auto Massassin only needs 55 days from seed to accomplish her final objective, and the results will blow you away: 20% THC and 450 gr/m2 of big, fat, greasy buds! 19% THC, 550 gr/m2, 70 Days or Less! A little Big Bud Auto is all it took to turn this Automatic Afghani into a potent bud factory with high yields, full flavours, filter-busting aromas and a <70 day finish from seed. Incredible! Bright Purple Buds with 19% THC! 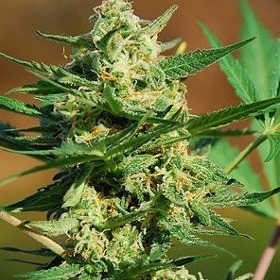 This fully autoflowering strain is a real beauty with serious power & generous yields. You won't go without with Auto Mendo Mass - 550 gr/m2 in 80 days or less! Ready to get loaded? Auto Mini Gun is always ready to roll! A high-performance autoflowering seed, Auto Mini Gun can go from bean to blaze in just 2 ½ months. Can't make up your mind? 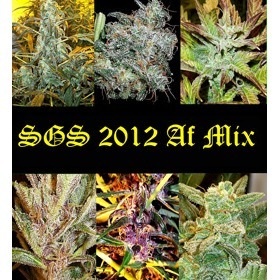 Buy SGS's Auto Mix Pack and get a little bit of everything. This is a random selection, but there are absolutely no bad choices here - they're all good! 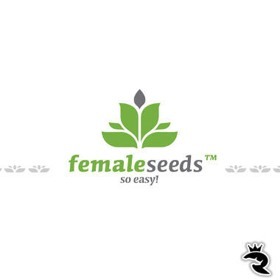 Feminised Seeds created the Auto Mix pack to showcase their best autoflowering genetics. With this choice, you'll get 4 distinct AutoFems, each with their own unique features. Nothing Lost for Speed - 20% THC! With power & yield that compares well to her photoperiod mom, Auto Monster Mass is a savage beast with killer couchlock that'll hold you down for hours. Intense! Auto Nefertiti is a Rare L'Hort Dels Somnis Creation! Created in collaboration with this world-class breeder, Auto Nefertiti is totally unique. You'll never forget the intense power or the unbelievable minty flavour. 100 Grams in 100 Days from Seed - Whooosh! Auto New York City: The Best Part of the Big Apple! Auto New York City is an overachieving autoflowering seed with 550-gram mega-yields, insanely fast finishes & brain-frying super powers (18% THC), and that's pretty f*cking hard to beat! From Tiny Bean to Fuel-Flavoured Beast in 8 Weeks! Auto Northern Lights: Any Easier & It'd Be Bagged! Even the laziest slacker & the rawest newb can make it happen with Auto Northern Lights. The original was easy, but this is insane! These cannabis seeds are virtually foolproof. With a full 17% THC, Auto Osiris is stronger than most traditional strains - and the 550 Gram yields & 7-Week lifecycles ain't too shabby either. This one's definitely a god-like cannabis seed! Take the edge off & get on with your day with Auto Pipi! This incredible White Widow X Power Plant hybrid offers mild, relaxing highs with absolutely no couchlock. Auto Purple: Beauty & Substance! With funky looks & psychedelic highs, Auto Purple is a trippy super strain. For the total experience, imagine sweet grape juice flavours & spicy, black licorice aromas. Yum! Plenty of Speed, Lots of Colour! Auto Purple Skunk Mass Seeds get the job done in just 60 days from the start with an amazing show of colour plus a whopping 18% THC. Yes, please! Lightweights, wake-and-bakers & coffee-break tokers take note! With only 9% THC, Auto Pyramid is for you. Plus, this is the absolute easiest weed seed at Pyramid Seeds.